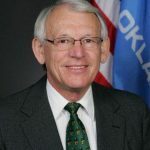 The Oklahoma Legislative Prayer Caucus is an official Oklahoma Caucus whose members are state legislators committed to advancing policies and initiatives that promote religious freedom, America’s Judeo-Christian heritage, and prayer. "A student/athlete-led movement that contrasts to the ongoing protest against the national anthem may be just what America needs to unify rather than divide." Why? This is a crucial support system organized to establish a prayer covering and practical support for the Oklahoma Legislative Prayer Caucus. We believe we have to do our part to encourage and stand with the government leaders who are frontline defenders of faith, promote prayer and use the legislative process to preserve our nation’s Judeo Christian heritage and religious liberties.